Iceland: Fire, Steam and Ice! Eight breakfasts. Four lunches. All dinners. A dream comes true as your wide-bodied jet thunders off the airstrip, bound for Iceland, a European country set in the middle of the north Atlantic Ocean. Europe's second largest island is a little-known land of contrasts shaped by flowing glaciers and active volcanoes. Jules Verne set there his famous science fiction novel Journey to the Center of the Earth. This young nation, independent only since 1944, was nevertheless the first republic to be created north of the Alps, back in AD 930, when feudal lords ruled the rest of Europe. It inherited the Old Norse language of its early settlers, which flourished in the Middle Ages and has reached us via the illuminated manuscripts of the Sagas of Icelanders. You will have breakfast on arrival this morning. 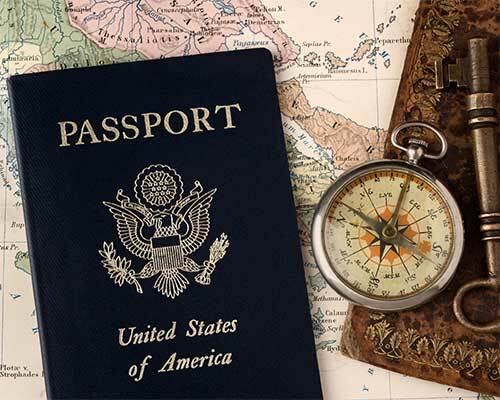 A well-educated and specially-trained local guide will accompany your group. Head to a geothermal wonder with a lagoon of steamy, blue water that's set within a black lava field (surrounded by snow and ice in winter!). Hear how Icelanders have harnessed steam and hot mineral springs for recreation, but also as a source of heat for buildings both collective and private. Enter the hot mineral spring water of the Blue Lagoon. Get a first-hand experience into the mysteries of this natural resource while relaxing in its warmth. Travel on to the world's northernmost capital city, which dates back to AD 870, when Norsemen first settled on the island. Nowadays, Reykjavik is still the only city in Iceland, home to more than a third of the country's 333,000 inhabitants. A coach tour introduces a city center full of little cafes, shops, art galleries and museums. Landmarks include the University district, Tjörnin Lake, the Höfði house where President Ronald Reagan met Mikhail Gorbachev of the Soviet Union in 1986, and Austurvöllur, an attractive square with the Alpingi (Icelandic Parliament) and the New City Hall. A half-day local guide, well-educated and specially-trained on the history and culture of Iceland, will accompany your group. Enjoy a tour of the historical museum of Reykjavik, Árbæjarsafn, a recreated village that illustrate the lifestyles of Icelanders in ages past within authentic houses and buildings from various periods, which were moved to the site. Enjoy spectacular views from the unique building known as The Pearl, which crowns Öskjuhlíð, a hill on the outskirts of Reykjavik. Supported by huge water tanks, the Perlan Observation Deck is known for its 360-degree viewing deck. Enter Hallgrímskirkja, the Lutheran church whose 244-foot-high steeple rises over the city's skyline and houses an observation deck. This striking modern sanctuary, with a section devoted to Catholic worship, was consecrated in 1986. Discover the striking structure which overlooks Reykjavik's harbor, and learn how Iceland's natural wonders, from volcanoes to Northern Lights, have inspired the Danish architects who drafted its innovative design in 2011. Harpa is both a concert venue and a conference center: your tour will take you through the splendid auditorium as well as backstage. Perhaps the most fabulous natural phenomenon in this land where nature has cast a wealth of wonders is the Aurora Borealis, also known as Polar Lights and Northern Lights. There's science behind the show: you can appreciate both aspects at Aurora Reykjavik, an educational and recreational center where Northern Lights are a year-round spectacle thanks to interactive displays, a HD film on a wide screen, and exposure to the history, legends and lore related to the Aurora Borealis. Stroll along the shop-lined Laugavegur Street. Set out after nightfall on an excursion through Iceland's countryside, away from city lights, under the guidance of an expert light chaser. You're on a quest for a magical show by the fluorescent northern lights. Sightings can never be guaranteed, which make it all the more precious when you see light dance in the night sky around the magnetic pole. 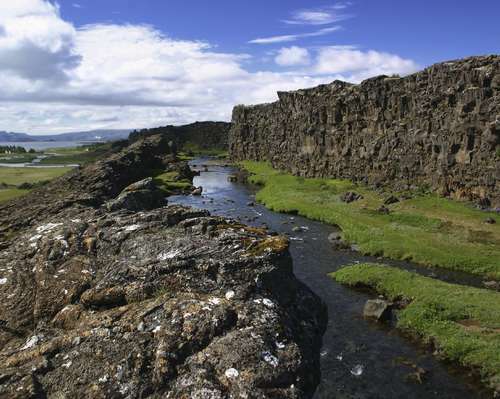 On today's excursion, you will discover some of Iceland's best-known treasures, both natural and historical. Stop in the Hot Springs Capital of the World, Hveragerði to view its geothermal park, where energy is harnessed to heat greenhouses as well as a fish hatchery. Hear about this extraordinary natural resource and its endless possibilities, such as Iceland-grown bananas! A visit is included to one of the greenhouses. Learn about the causes and impact of the earthquake that struck Hveragerði on a visit to the exhibit called The Quake 2008. Then, experience what an earthquake feels like in the simulator that replicates tremors that reached 6.3 on the Richter scale. View the impressive Golden Waterfall formed by the River Hvitá as it plunges in two stages down a deep canyon. Stop at the site of Geysir (Gusher), the first spouting hot spring known to Europeans, which gave English its Old Norse name in the word "geyser." Geysir erupts very rarely, but spectacularly. Nearby, you will see the show produced by a younger geyser, Strokkur, which spews boiling water every five to ten minutes. Enter the National Park called Þingvellir. This is Iceland's most significant historic site as the location of the first Icelandic parliamentary assembly, the Alþingi. This assembly first convened in AD 930 around the "Rock of Law," and continued to meet there for centuries, earning its location a place on the list of UNESCO World Heritage sites. Stop at the world's largest geothermal power station, which supplies electrical power and hot water to the Reykjavik metropolitan area. The Hellisheiði plant's state-of the-art exhibit explains how geothermal energy is harnessed in a sustainable manner that offers a model to the rest of the world. This excursion takes you across the stunning scenery of Iceland's South Shore, located east of the region defined by the Hellisheidi mountain pass. Travel through small villages and farmland on your way to the mountain range that is home to the 6th-largest volcano in Iceland, Eyjafjallajökull, which erupted in 2010. Its 5,466-foot-high summit covered by a 39-square-mile ice cap, Eyjafjallajökull is once again tranquil, having spewed its fine ash all over Europe's airways. Your coach takes you towards the coast, through the region where the Njals Saga, one of Iceland's most famous medieval sagas, is set. Stop to admire a cataract which drops a 200-foot-high curtain of water from a cliff that was once right on the coast. There's a path that goes behind this waterfall! 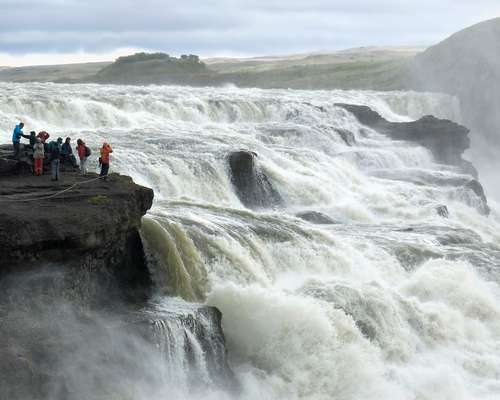 Get a close up look at one of Iceland's largest waterfalls, 82 feet wide. Look for the double rainbow often created by the Skogafoss mist. See the rocky headland with arches carved out by the surf that's known as Dyrhólaey. Stop in the southernmost municipality in Iceland. The coast near Vik is known for its black sand beach and for the jagged Reynisdrangar rocks that jut out from the sea, looking like giant trolls. Today, focus on the Snæfellsnes Peninsula, a region north of Reykjavik that has been called "Iceland in Miniature" as it is home to many of the geological features for which Iceland is well-known: lava fields, hot springs, volcanoes, glacier, black sand beaches and spectacular rock formations. The most famous of its natural wonders is the Snæfellsjökull Glacier, which covers a cone-shaped stratovolcano set at the tip of the peninsula. Its summit was recorded as ice-free for the first time in August 2012. The heroes of Jules Verne's 1864 novel Journey to the Center of the Earth make their way in and out through Snæfellsjökull. Stop in the hamlet of Budir to view a landscape of exceptional beauty, with yellow beaches, black lava fields, green hills and blue sea, all crowned by the white summit of the Snæfellsjökull Glacier. From the small port of Arnarstapi, set at the foot of the Snæfellsjökull Volcano, you may want to follow footpaths laid along the sea cliffs. The unusual coastal landscape features rocks shaped like columns, where seabirds nest. Set foot on Djúpalónssandur, a black-sand beach with protected black lava pebbles known as "Pearls of Djúpalón." You'll also see the four "lifting stones" weighing from 50 to 340 pounds that were once used by fishermen to test their strength. Lunch is included during the excursion. Set out for the Reykjanes Peninsula, which straddles a fissure zone of the Mid-Atlantic Ridge, west of Reykjavik. Stop on the shore of Reykjanes' largest lake, Kleifarvatn, which lies in a lunar landscape. No river runs to or from it, and it's very deep (over 300 feet at its deepest point). According to local lore, it's inhabited by a serpent-like monster, as large as a whale, that surfaces every so often. Beware! Head to the Austurengjar area, stopping at Krýsuvík to view geothermal fields peppered with jet streams, sulfur springs, hot springs, mud spots, and boiling pools, all of which color the soil in shades that vary from bright yellow to green and shades of red. Pause in the small fishing port of Grindavik, which provides more than 40% of Iceland's salt fish production. Walk from Europe to America by crossing the bridge named in honor of the Icelandic explorer Leif Erikson, a son of Erik the Red born c. 970, who reached the New World 500 years before Christopher Columbus. Stretched over a narrow fault-line depression known as the Alfagja Rift Valley, this footbridge connects the Eurasian and the North American continental tectonic plates, which move away from each other in this spot at the rate of 0.8 inches per year! If looking for Icelandic sweaters, check out the store of the Handknitting Association of Iceland (Handprjónasamband Islands), which offers the best of the best Icelandic knitwear, along with hand-spun yarn. When the Vikings first landed on this remote island a thousand years ago, they brought along pony-size horses that gave Icelanders their cherished and protected Icelandic breed, uncorrupted by the genes of other equine breeds. Small, but hardy, with an easy temper, the Icelandic horses wear coats of many colors and patterns. and display two gaits beyond the typical gaits of other breeds. Today, you will get acquainted with the unique Icelandic horse that will take you up and down rocky slopes, through streams, and across fields of rough lava. For a good hour and a half, across the lunar landscapes of this volcanic land like no other, this small horse will become your best friend. Enjoy a whale-watching cruise to view whales commonly sighted off Iceland's coast, such as humpback whales, minke whales, harbour porpoises and white-beaked dolphins, as well as myriad of sea birds.